Scroll to the bottom to get your promo code AND more great ideas for Valentine's Day! We all struggle with ways to show our loves how much we adore and love them. But, none of us has the time needed to sit around and think up ways to do so. Well, we have the time and we have done it for you. This idea is seriously so simple and so fun! This is a 7 page PDF template that you download and use to make some clever and steamy love notes. This takes fun and foreplay to a whole new level. 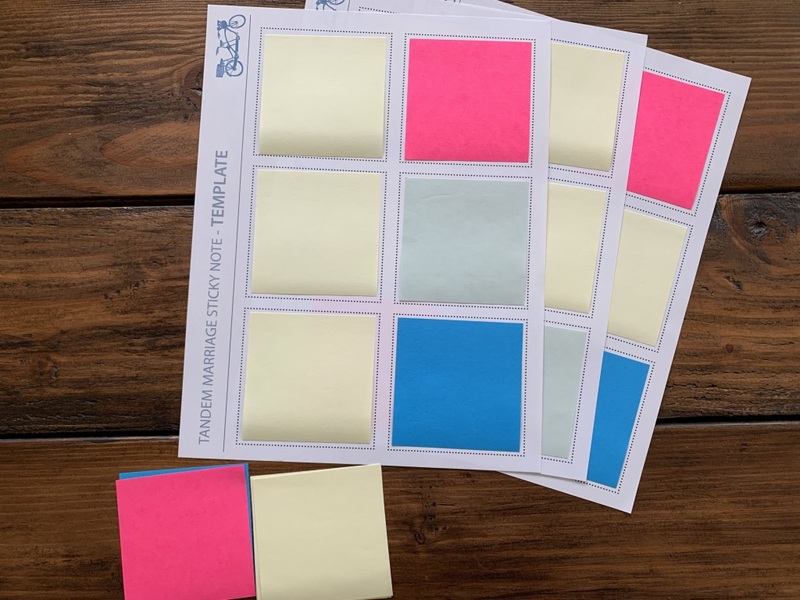 You will need a printer (color or black & white) and some 3x3 sticky notes (Post-it brand notes or any other brand should work). We are providing the rest. This will take most people 15-20 minutes. 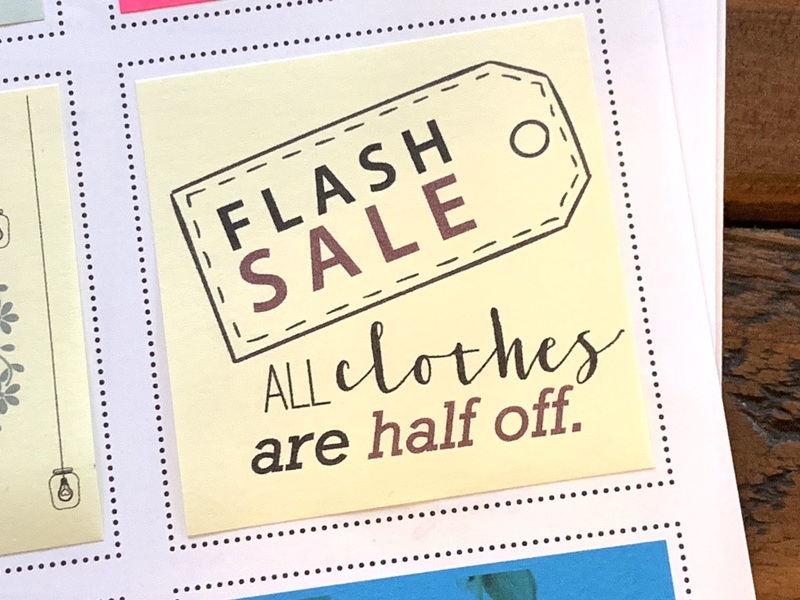 These sticky notes are just plain fun! I have been leaving them all around our house for Tami to find; in her purse, in her office, on the mirror in the bathroom, even on the refrigerator. It has been my goal to shower her with love and affection over the past weeks by leaving these notes for her. And it's been working. She knows how much I love her and think about her! 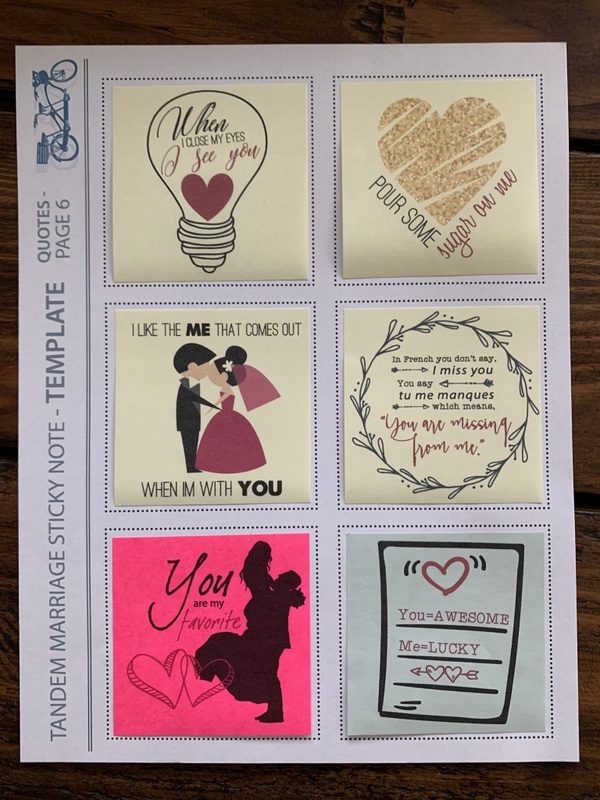 Below is the entire 7 pages including the full instructions, template page, and 24 lover's notes (4 pages with 6 notes each). 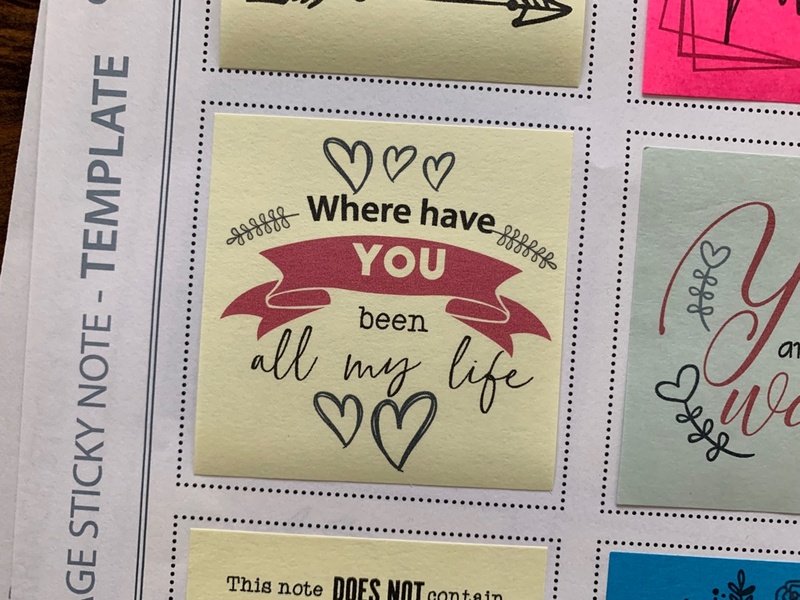 If just one of these love notes brings a smile to your spouse's face, it's so worth it!. We are giving you 24 unique notes in all (and you can make any or all of them multiple times) so that's lots of smiles. 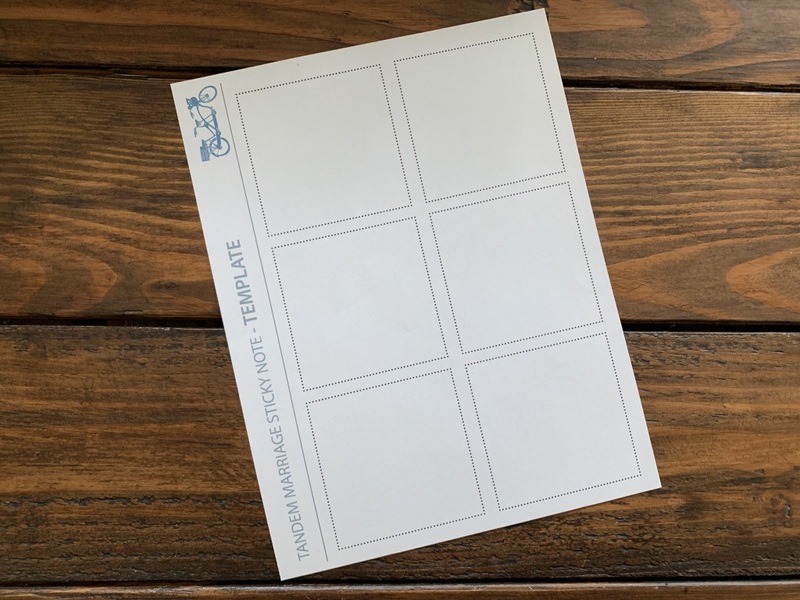 You start by printing several blank template pages (included in the kit) like this. 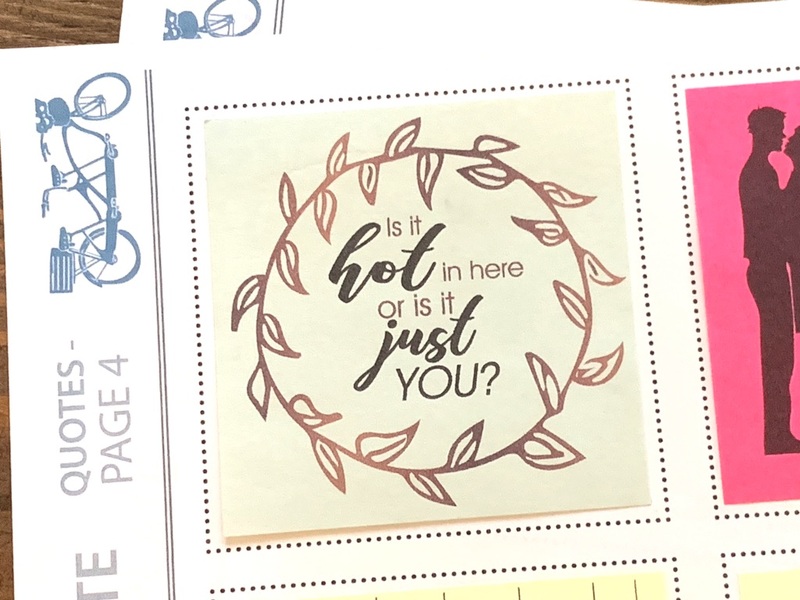 Put your own preference of Post-it note colors inside the marked areas of the template. And print. Yes' it's that simple. I was so excited about getting these available for you as soon as possible, that I completely skipped hiring a photographer to take proper pictures. My apologies. Nonetheless, you should still be able to see how ridiculously fun these are by looking at my pictures. 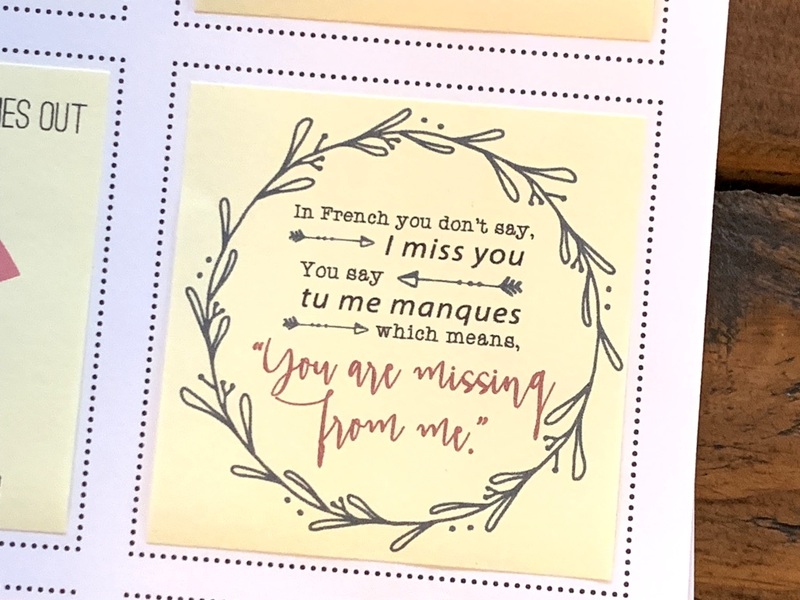 You can use any color of Post-It note you want to, but you will notice that the love notes with color graphics look the best on lighter paper. Feel free to buy several different colors of notes and experiment. Most of all, have fun. Goodness, don't miss the fun here! 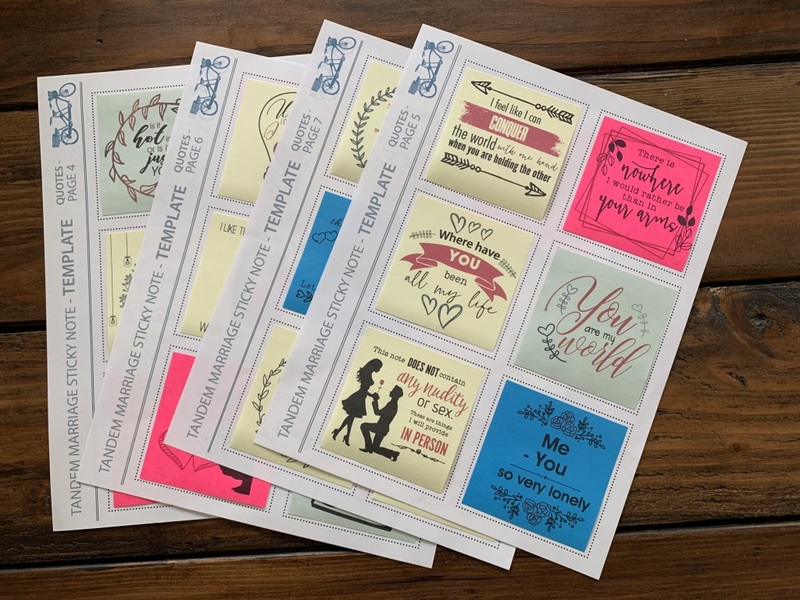 Even though we are selling the Lover's Sticky Notes pack separately for $8.00, we figured out a way to give it to you for free. If you buy our ebook bundle (at less than half price), we are going to give you the love notes for free. Why would we make this ridiculous offer? We are passionate about great marriages and we want to help others! If you want to read more about our Ready to Surrender ebook, click here. 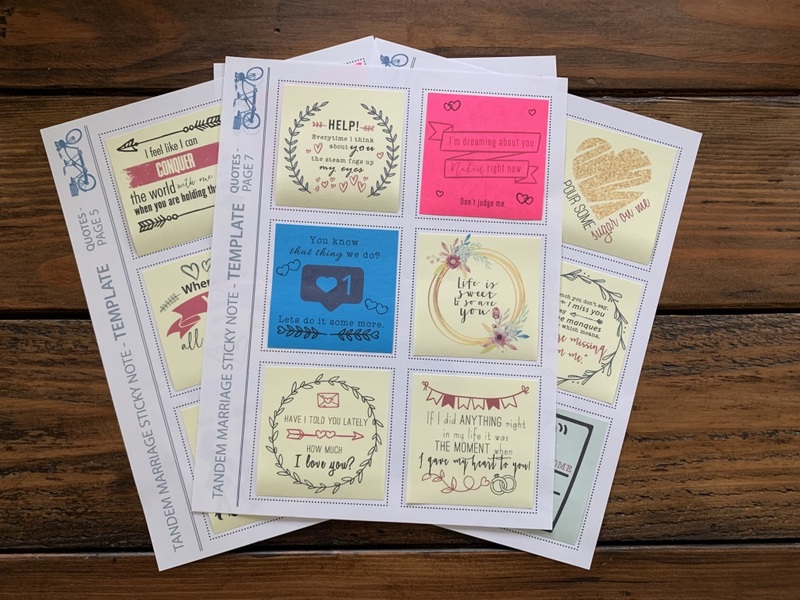 Use TMLOVERS to get $15 off of the Ready to Surrender ebook bundle (only $12) and get the Lover's Sticky Notes included for FREE. Just copy the promo code above before clicking on the "Add to Cart!" button below. If you want something different in your cart, just select it from our webstore page here. The "Add to Cart" button below will add both the Ready to Surrender ebook bundle AND the Lovers Sticky notes to your cart. Want more ideas? Head over to our newly updated Resources page here. There you will find ideas for online massage classes, Valentine's cards that will blow your mind, wine subscriptions, and more.